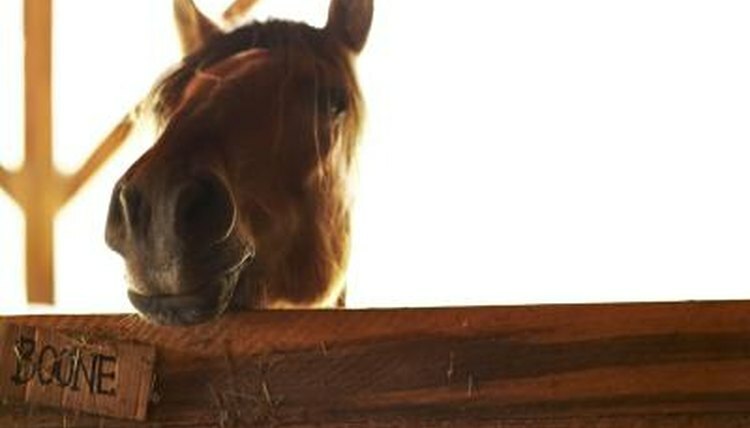 Excessive horse barn odors can affect your horse's health—and yours. So can neutralizing those odors with chemicals. Cost is also a consideration if you have several horses. Many horse owners use barn or garden lime, which is effective for odors but dusty, and so can irritate your horse’s lungs in such close quarters. Remember, too, that preventing excessive odors is less expensive than trying to neutralize them. Do your best at both and your horse will thank you. Buy baking soda in large boxes or bags and keep it as a barn staple; not only is it an effective odor neutralizer and deodorizer, but you can use it to clean food and water dishes, bridle bits and silver pieces that adorn your tack. Pour it on your stall floor or stall mats before you put shavings on top. Do this each time you do a thorough stall cleaning and then add new shavings. If you’re familiar with aromatherapy you know what essential oils are: they're created when oil is isolated from plants and removed through distilling or cold pressing. Two good ones to use for neutralizing barn odors are eucalyptus oil and lemon oil. Make your own mix in a medium-size spray bottle by filling it with distilled water, then adding 24 drops of oil. Adding a few teaspoons of alcohol—either grain such as inexpensive vodka or plain old rubbing alcohol—will keep the oil and water mixed, but that’s optional. Just remember to shake the bottle before each use if you don’t add the alcohol. Spray the mix on your stall floor and mats each time. You can also spray it liberally around the barn. You can also use pine oil, but make sure it’s the essential oil and not the commercial pine oil cleaner, which can irritate your horse’s skin and lungs. White vinegar is right up there with baking soda as an accessible and inexpensive barn odor neutralizer—as long as you prefer the smell of vinegar to the barn smells! Keep some vinegar in a spray bottle and spray your horse’s mats before adding shavings and also spray it on the stall walls. It’s perfectly safe and, like baking soda, comes in handy to clean food and water dishes. If the smell does bother you, or you simply want to increase its effectiveness, add a few drops of an essential oil. You can also add water to cut the vinegar smell even more. Keep your barn odors at bay by removing your horse’s waste daily. Pay close attention to urine-soaked bedding that exudes harmful ammonia. Assess your horse’s protein intake: if he is on a high-protein grain and also alfalfa hay, he may be getting more protein than his body needs. This unneeded portion becomes ammonia, which he then excretes, creating more harmful ammonia in your barn. Additionally, your horse may drink more water when he consumes too much protein because the protein causes excessive sweating. More urine also equals more ammonia. You’ll also prevent excessive barn odor by minimizing the time he’s in his stall. Barrelhorsenews.com: Is Too Much Protein Harmful?